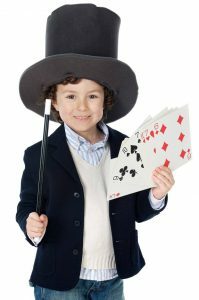 With their sleight of hand and incredible tricks, our party magician brings amazement and wonder to kid’s birthday parties and special events on the Gold Coast. Our magician for hire will perform a magic show, a spectacle of illusion and wonder that is sure to leave your little Houdini’s scratching their heads and laughing in delight. We also provide amazing face painting, temporary tattoos, balloon sculpting, games and lots more. To ensure your birthday child is aware they’re special; they’ll be modelled an extra special balloon birthday present during the magic show. Whatever the size: small and intimate or large and extravagant, our magicians for hire on the Gold Coast have got you covered. 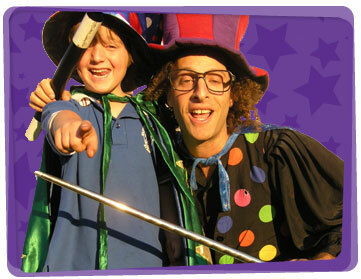 We entertain regularly at kids birthday parties and events of all kinds.